The Source for Will Jordan's Music, Photos, Videos and Fashion. 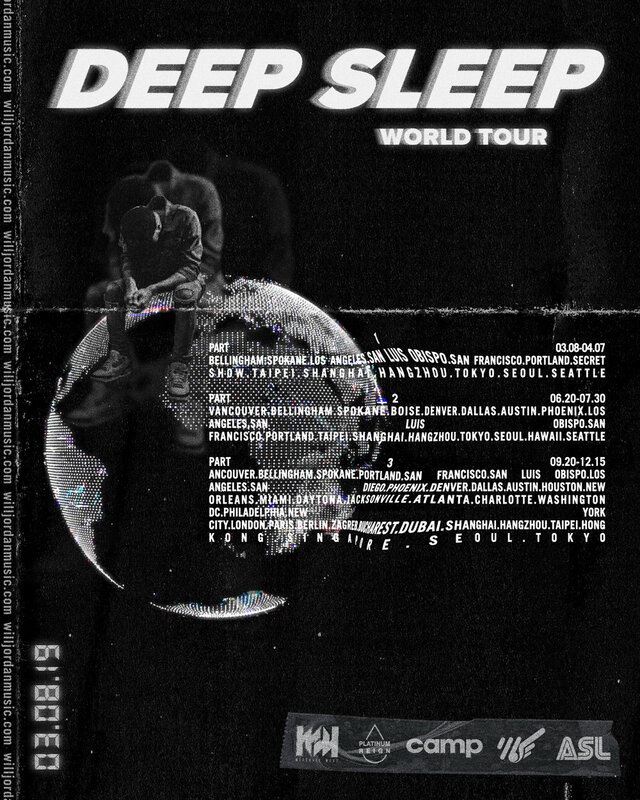 Grammy nominated, multi-platinum singer-songwriter-producer Will Jordan is taking on a Pacific Rim circuit to kick off the world tour for his latest EP, Deep Sleep. Starting March 8th, Jordan is stopping in major cities along the West Coast before heading to Taiwan, China, Japan and South Korea.